Congratulations on your decision to propose! The next step is to buy a ring to pop the question with. 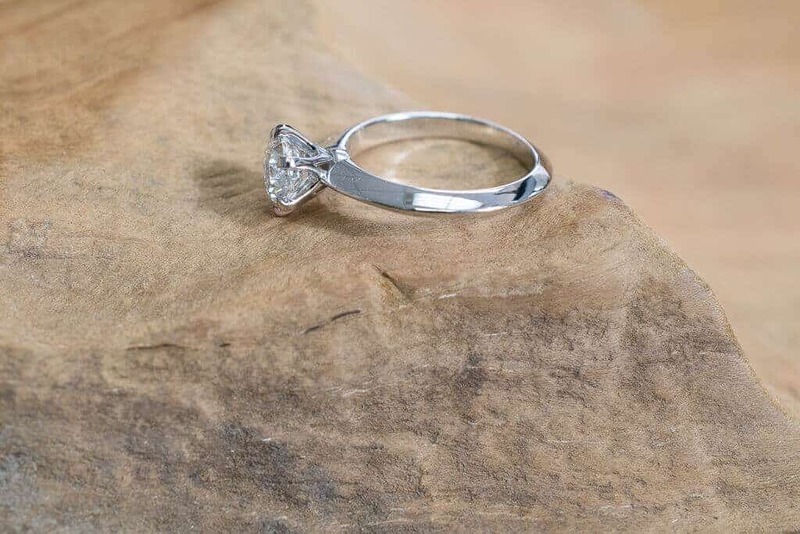 We’ve come up with an essential checklist for buying a diamond engagement ring that will make sure you get the best diamond ring for your budget! While it may be tempting, and you may be pressured to, spend more than your budget allows, going into debt over a ring isn’t a good idea. Instead, set a firm budget and don’t budge. This will keep your wallet happy and your stress levels down. You’ll need to tap into those more when the wedding comes! Have a good understanding of her style, metals she likes, and any metal allergies she has. You can also go through magazines and look online to get a better idea of the kind of design you’d like to get her. You’ll want to become familiar with the 4 C’s of diamonds before committing to buying a ring. Most tend to agree that carat weight and diamond cut are more important than the other two. When you work with more than one jeweller, you ensure that you get a wider selection of diamonds as well as better service. You can compare the jewellers and go with the one you find more compatible with your wants and budget. – what affiliation they have with other recognized organizations. – if they use GIA or AGS certified diamonds. – how good or bad their reputation is. – if and what their return policy is. – if online stores will provide you with basic things such as ASET/Idealscope images and contact numbers. – if they price match. Customer service is important in the diamond industry. If your jeweller has poor customer service, don’t give them the benefit of a doubt. Ditch them and find a better jeweller immediately. If you choose to buy online, you need to request all information in writing. You’ll also have to factor in extra taxes and shipping fees into your budget. Whether you decide to get an engagement ring online or in person, going with a jeweller you trust is mandatory. Going with cash purchases oftentimes comes with nice discounts. If you decide to go with credit, avoid making credit payment options. They usually come with exorbitant fees. Using your personal credit card is better. 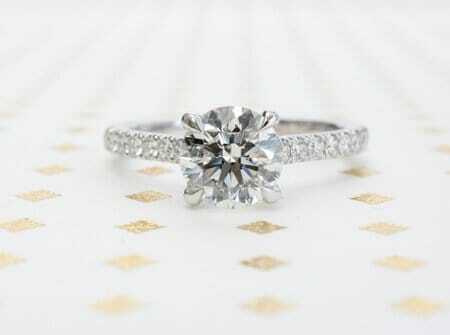 No doubt by the time you get the ring in your hand, you’re excited and ready to propose. But take a moment to compare the ring in your hand to the ring on paper. If anything doesn’t seem right or the details are blatantly wrong, alert the jeweller immediately. Even if you love your ring and trust your jeweller, getting a second opinion is fine. It’s just another step to assure that you get the quality diamond you want and were expecting. Now that you have this handy checklist, you can assure that you get the perfect diamond engagement ring for your fiancé.